The Coco collection features bold Swarovski pearls with Swarovski iridescent crystal accents. Let Coco move your look effortlessly from career to evening to jean comfort! The Coco necklace is a staple to one’s wardrobe, the classic pearl can be worn day or night and is something every woman needs to include in her jewelry wardrobe. 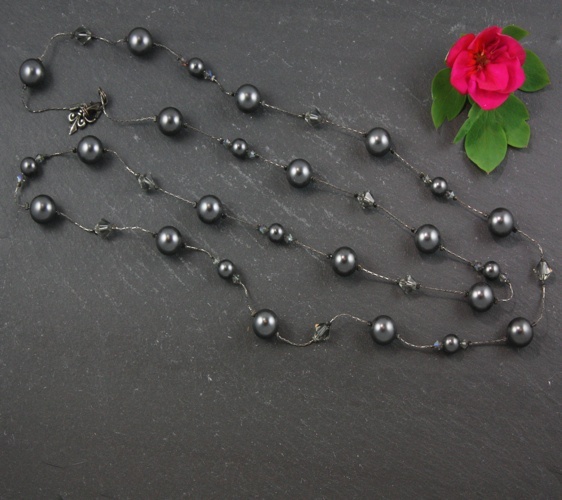 The Charcoal Grey pearl necklace is a great neutral that will add style to any outfit.